WWE has inked a new pair of five-year rights deals that will see Monday Night Raw return to USA Network and SmackDown Live move to Fox broadcast network. The deals begin in 2019 with USA Network paying $265 million annually and Fox Sports paying $205 million annually, according to the Hollywood Reporter. The Fox-Smackdown deal marks a new direction for WWE, after both properties have aired on USA Network since 2010. UPDATE 6/28/18: SVG has confirmed that WWE will continue to handle its own live productions for weekly Smackdown Live shows rather than Fox Sports taking over. 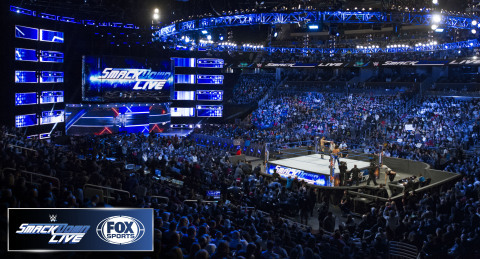 For the first time, every Friday night beginning October 4, 2019, FOX broadcast network will air WWE SmackDown Live. The weekly, two-hour event, which will air live 52 weeks a year when Fox takes over next year, currently airs on USA Network. SmackDown Live is currently averaging1 1.3M P18-49, 1.3M P25-54 and 3M total viewers P2+. On air for almost 20 years and nearly 1,000 episodes, SmackDown Live is the second-longest running weekly episodic cable television show in U.S. primetime history, only behind Monday Night Raw. SmackDown Live is currently among the most-watched, regularly scheduled programs on primetime cable and delivers more viewers in primetime than any cable network in the U.S. (2.9 million average viewers). 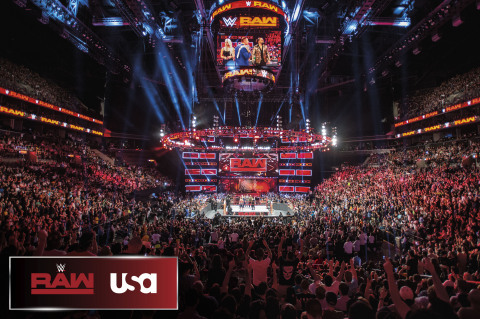 USA Network and WWE new five-year extension for the Monday Night Raw weekly three-hour block continues WWE and USA’s nearly three decade-long relationship. Monday Night Raw is the #1 show on USA Network. On the air for 25 years and more than 1,300 episodes, Monday Night Raw is the longest-running weekly episodic television show in U.S. primetime history and consistently a ratings juggernaut. Among the most-watched, regularly scheduled programs on primetime cable, Raw delivers more viewers in the U.S. than all sports other than the NFL. On USA Network, the weekly block is currently averaging 1.7M P18-49, 1.7M P25-54 and 3.6M total viewers P2+1.